I mentioned a couple of weeks ago that tonight is Imagine!’s premier fundraising event, the 10th Annual Imagine! Celebration. One of the highlights of the event is the Special Appeal, and the proceeds from this year’s Special Appeal will go to support Imagine!’s SmartHomes project. I thought it would be a good time to give you an update on this ambitious project. Now that the two homes have been built, we are entering the second phase of the project, where we are testing the technology in the homes and its impact on the lives of those we serve. Late last year, members of Imagine!’s SmartHomes team met with researchers from Colorado WIN Partners to discuss some of their findings from their year-long study involving residents of the Bob and Judy Charles SmartHome in Boulder. The researchers were looking at how the technology in the SmartHome was impacting the residents’ lives, and the results are very promising. The overall findings matched well with the goal of our SmartHomes project. For instance, the research showed a large increase in residents’ perception of their control over their own lives. One of the key reasons for using technology was to provide the individuals served in the home the opportunity to become more independent, so we were very pleased to see this result. Other areas where the research showed positive increases among residents included: feeling safer in their new home, feeling respected by others around them, number of personal relationships, and access to resources the residents felt they needed. Another interesting finding, one that fits well with our goal of delivering services in a more cost effective manner, was that the increases above were noted while residents also reported a decrease in the number of services and staff interactions. Given the current state of the developmental disabilities service delivery and provision system in Colorado and the nation, that is exactly the result we are hoping for, as it demonstrates that it is possible to provide quality services even as the resources available for providing those services continue to dwindle. The research data showed us that we still have some things to work on, though. For example, the data showed little change in how involved residents felt they were in their community. Community involvement is the cornerstone of Imagine!’s mission, and we believe that technology provides an opportunity for increasing such involvement. As more technologies go online at the SmartHome, we feel we will start seeing an increase in community involvement. But seeing the current data reminds us we still have a way to go and encourages us to redouble our efforts. We’d like to thank the researchers from Colorado WIN Partners for their hard work and dedication. Danette Muselman and Elizabeth Woodruff, along with their research mentor Yvonne Kellar-Guenther, have provided us with a great deal of actionable data. Thanks also to I.B.M., who provided a $10,000 grant to support the research. You can see a copy of the presentation the researchers made to I.B.M. below. You can also view a white paper detailing the study by clicking here. View more presentations from Fred Hobbs. “Despite being a decade into the twenty-first century, the unfortunate reality is that most governments still reflect industrial age organizational thinking, based on the same command-and-control model as industrial age enterprises. …As government got bigger, and the revenue of government increased, it became necessary to build more elaborate procedures, structures, and controls, all run by new layers of professional managers. These bureaucracies operated like individual “stovepipes” – with information only flowing vertically and rarely between departments. …Despite numerous attempts, very little has changed in the past half century. … The good news is that just as new waves of innovation are washing over the private sector, opportunities to harness new models of collaboration and innovation are arriving at the doorstep of governments everywhere. 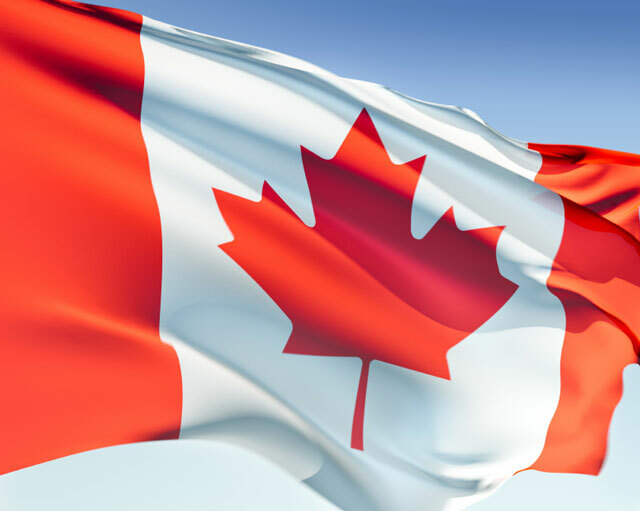 … If politicians and public servants are to ensure their relevance and authority going forward, they must move quickly to meet rising expectations for openness, accountability, effectiveness, and efficiency. I see our support system for intellectual disabilities struggling across the US. I have found some inspiration reading this book. In many ways I feel we have a great opportunity right here in Colorado. This is our time. We can reshape our thinking. One of the core beliefs we hold at Imagine! is that success that is limited to a classroom or controlled, segregated environment is a very incomplete success. We strive to go beyond those limitations and broaden our horizons, as well as the horizons of the people we serve. That is why so many of our services are community-based: meaning that they actively encourage community inclusion. However, being community inclusive does not occur without challenges. There are, of course, times when not everything goes as planned, and we adapt and adjust. Imagine! embraces these teachable moments as they may arise in an authentic environment. Learning how to adjust to transitions and the unexpected are valuable life skills that can be taught through the community. Today, I’d like to highlight a couple of examples here at Imagine! of community-based services in action. Imagine!’s Dayspring department recently released its Jan-Aug 2011 Community Calendar Activities catalog. According to their website, Dayspring’s Community Calendar Activities offers families of some of the youngest people we serve great activities and opportunities in the community for their children to meet their goals through fun and play. Each location has activities that are age and developmentally appropriate. Activities are centered around play, because play is the primary vehicle for a child’s mental and physical growth. Play has a vital role in cognitive, speech-language, physical, emotional and social development. You can learn more by clicking here. Imagine!’s Out & About department (by the way, I should acknowledge that some of the language I used in my introduction above about community inclusion comes from the Out & About website – they say it so well I figured why not just borrow it) recently released its new Spring 2011 Catalog. Out & About offers two adult service programs for older adolescents and adults with developmental disabilities. These programs provide opportunities for participants to engage in their communities. Services are offered seven days a week. Day Program Services offer weekday programming Monday through Friday with half- or full-day options. Catalog Services offer evening and weekend activities. You can learn more by clicking here. I’d like to thank the staff members and management at both of these departments for their unwavering commitment to providing services out in the community and meeting Imagine!’s mission in a very powerful way. Last year, I wrote a blog post about a proposed Family Care Group Home at 1503 Juniper Street in Longmont. In November, after much deliberation, we at Imagine! made the difficult and painful decision not to move forward with this home. Read a Longmont Times-Call newspaper article about our decision. I am confident that we explored all of the variables associated with the operation of this home, and I am resolved with our decision. That being said, this situation does raise awareness of issues that we tend to gloss over when communicating with the public, our communities, the state’s bureaucracy, and ourselves. People who require the support of others are often categorized in order to manage eligibility for public support. These categories have very specific definitions, and the public support comes with very specific rules. We know of people who have needs that cannot be met within these narrowly defined definitions and rules - outliers that do not fit the design of publicly funded programs. We know them, and yet we cannot help them. If people who are found eligible for developmental disabilities services only found it difficult to learn, our work would be straight forward. That is not always the case, as we have demonstrated with the boys who were scheduled to move into the home on Juniper Street. Having a developmental disability does not make one immune from medical conditions or mental health conditions, some of which the general population may find very offensive. Having a developmental disability does not mean you are immune from statutory public offenses and intervention by law enforcement and the judicial system. When it is found that a local public offender appears to have a developmental disability, the answer to the question, “Who do you call?” is Imagine!. We do our best to answer those calls when we receive them, despite limited resources, restrictive rules, and even on occasion (as in the case of the Juniper Street home), the outright opposition to our efforts to serve some of our most vulnerable citizens with complex needs. I am taking this opportunity to point out that our work at Imagine! can be very complex, and that we do not always have the answers. However, I can assure you that our desire to seek out solutions is only strengthened when we have to take action as we did with this home in Longmont. Sometimes the best stories about Imagine! and the work we do come from others. Today, I’d like to share an email I received from the mother of one of the young children we serve at Imagine!. First, a quick point of clarification - two of the providers for the Hubbard family are private contractors, not Imagine! service providers – demonstrating our commitment at Imagine! to finding the best provider fit for an individual or family's hopes, needs, and desires. Thanks to Mayassa for letting us share this story and the great picture of Zade! Mark Emery-I received your email address from Laura Free (Imagine! Part C Service Coordinator) and I am writing to tell you how grateful my husband and I are for your program and services. Honestly its not just the services it’s the wonderful staff that have been coming into our home to help us with Zade. Zade is almost 10 months old now and if you would have seen him months ago before all the wonderful people providing their care you would not believe the difference! He looks like a completely different boy. Zade had a milk protein allergy, eczema, acid reflux, severe gassiness and bloating, limited weight gain, had aldosterone issues and ended up in Children’s Hospital in July for a few days. Zade had almost no core strength and was not a super eager eater as he got exhausted easily especially since we didn’t know that his posture would impact him when eating jarred foods. Zade would give up trying to sit after a second or two and now he can hold himself up for much more than that!! He has been steadily gaining weight and has made progress with both fine and gross motor skills. He reaches for toys, rolls from side to side very well, holds his head up straight and with ambition. My list can go on and on… I am always impressed at the loving, nurturing, authenticness of the staff that have been helping us. They genuinely care for our son and that really really helps. I work full time and my husband is a stay at home dad and I feel so fortunate to have such support helping us with our 1st time parent skills. When I know either Laura, OT, PT or the Public Health nurse are coming over I feel so reassured. I have worked in so many human services related fields and know days can be long and at times quite challenging. The staff that have worked with us have been so patient and thorough and when we would get confused they would go the extra mile to make sure we understood. Over the holiday break, I began to wonder, as many of us do, what the next year would bring to those us working in the field of services and supports for individuals with one or more developmental disabilities. Unfortunately, it seemed as if my magic 8-ball wasn’t working very well – it only had a limited number of responses to my many queries, and those responses seemed a bit vague. So I thought it might be time to go a little higher up the ladder. 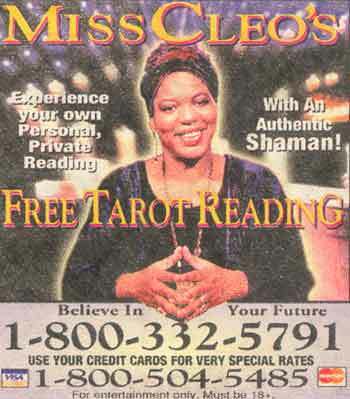 I decided to call Miss Cleo. 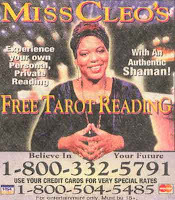 Now, for those of you who don’t remember, Miss Cleo is a self-proclaimed psychic and shaman who achieved fame as a TV spokeswoman for a psychic pay-per-call service known as the Psychic Friends Network from 1997 – 2003. Lawsuits and skepticism finally forced her off the air, but I felt so desperate to get a glimpse of what is in store for us in 2011 that I managed to track her down and gave her a call. This year will force some soul searching about our values. Now, Miss Cleo, my magic 8-ball, and I weren’t quite clear on this, but we all believe that it is past due time to really examine what we as communities value. Maybe we will finally look at the gap between the haves and have nots and ask ourselves if we as a community need to work together to narrow that gap. I’m not talking about some wildly liberal agenda here, but rather, I’m just asking if the individuals we serve in the DD field, individuals who invariably fall into the “have not” category, might deserve a little better. Not simply in terms of more funding for services, because although I’d like that I don’t think it is a likely scenario, but rather in terms of all of us really looking at the system inside and out and seeing where we can improve. There is a money aspect to this prediction, though - the recent economic downturn may have opened some doors for re-examining what we value as a society. I hope that this new emphasis on soul searching will lead to better results for some of our most vulnerable citizens. Imagine! will rise above the fray. The system as it stands is full of distrust and suspicion. Everybody seems to question the validity and quality of what others are doing. The providers don’t trust the CCBs. The CCBs don’t trust the advocates. The advocates don’t trust the government agencies. The government agencies don’t trust the providers. It is a vicious circle, and the people we serve are being hurt by this lack of trust and cooperation. I am committed to keeping Imagine! above the fray and out of that circle. I want us paying attention to the right things – the things that will bring achievable solutions to the many challenges facing our system. I’m not just saying this to be saying it. The system is getting more and more fractured. Either we are going to find a way out of this mess or more and more of the people we serve will slip through the cracks created by these fractures. We have to find a new way. Wider stakeholder engagement will revitalize the system. OK, so the system is fractured. What is interesting is that, even with all these fractures, many key stakeholders still don’t have a voice in the system. For instance, take the Colorado taxpayer. If the majority of Colorado taxpayers knew how system funding was currently being used, I believe they would be furious. Well, they don’t know right now, but they will soon. Social media is rapidly becoming a game changer, allowing all sorts of stakeholders opportunities to engage in discussions and decision making processes in ways never before possible. The days of decisions being made behind closed doors by a small group of people are coming to an end. I think this will have some very positive results – engaging more stakeholders may well bring new ideas and positive outcomes. Rule changes will reduce system outliers. People who require the support of others are often categorized in order to manage eligibility for public support. These categories have very specific definitions, and the public support comes with very specific rules. We know of people who have needs that cannot be met within these narrowly defined definitions and rules - outliers that do not fit the design of publicly funded programs. We know them, and yet we cannot help them. To make matters worse, the rules are often created in a vacuum and result in disastrous unintended consequences. And when we try to mitigate those consequences, we are told that we can’t change anything because of the rules – the same rules that were made without considering the consequences! So we are forced to dedicate time, energy, and resources in efforts to fix the rules, leaving us with far less time, energy, and resources to do what we do best – serve individuals with one or more developmental disabilities. And we have even less time, energy, and resources to figure out how to serve the outliers. As more stakeholders become aware of these issues and engage in solution finding, the rules will change to better allow us to concentrate on services. OK – full disclosure: I didn’t really consult with Miss Cleo for these predictions (or my magic 8-ball). And maybe some of these predictions for 2011 are really more appropriately put in the “hopes for 2011” category. I’ll let you decide. I do predict this will be a difficult year, however. I also predict it will be a pivotal year. We are facing so many challenges, but there are signs that resolutions are nearer than they may appear at first. By the end of the year, if we are smart, dedicated, committed to working together, and open to new ideas, we may find we are much better off by the time 2012 rolls around. Just in time for the end of the world, according to the Mayans. I’ll have to ask Miss Cleo about that, I guess.